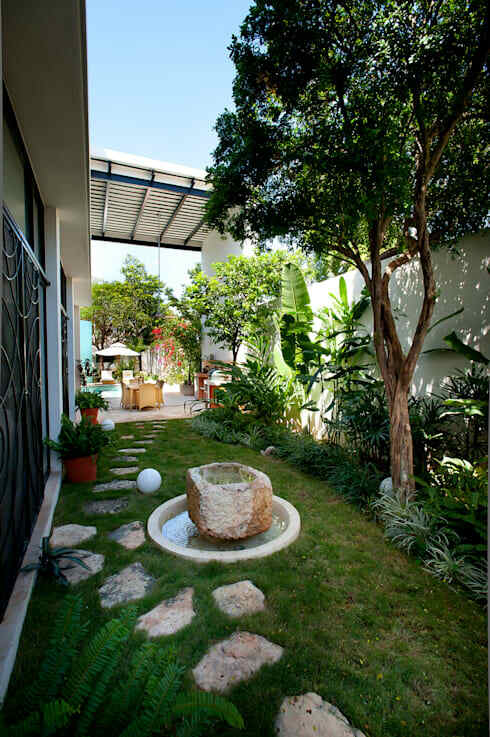 A beautiful garden is a true joy for home lovers. Whether you’re blessed with a big or not-so-big area, you can always find a spot for that floral corner. 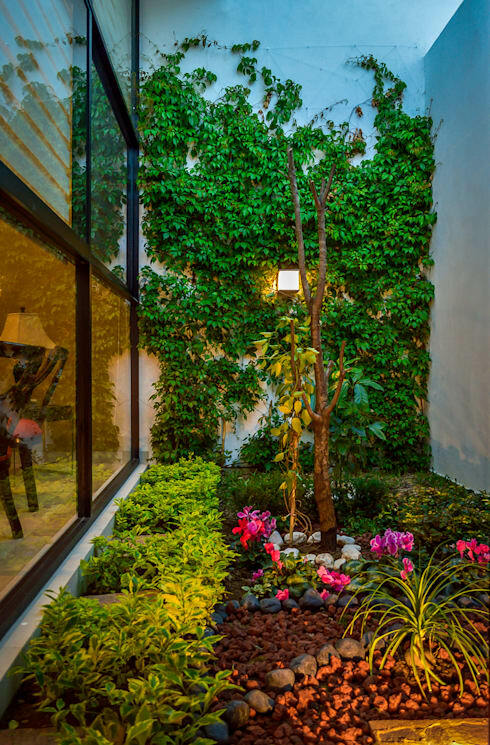 A garden don’t just add beauty, but offers many advantages as well such as helping to create a peaceful home. It’s almost as if you’re nearer to the wonder of nature! You can even go for a leisure walk. 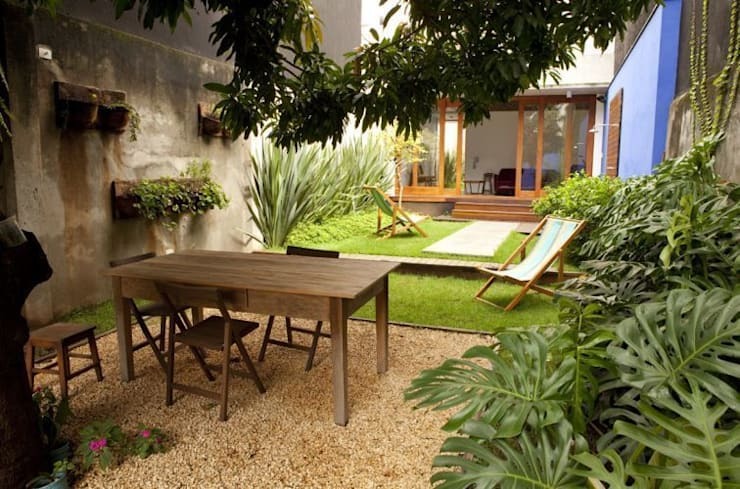 This ideabook shares great gardening ideas for different styles and shapes of homes. 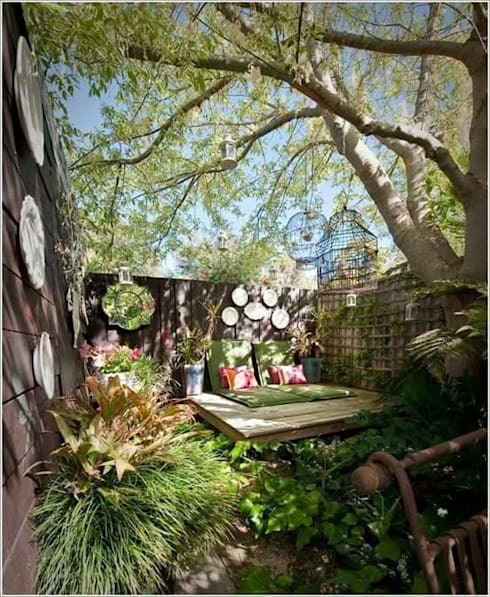 See how a limited space is turned into a beautiful garden, explore the photos below! If your home has a lot of space, you will like this idea. First, divide the lot into two parts. For the first half, you can grow grass and some plants to surround area. The other half of the house, plant a large tree which will serve as shade and sprinkle with small gravel for the ground. Because this is an outdoor area, place a weather-resistant wooden table which you can use on sunny days, for picnics, afternoon teas and parties! It’s such a waste to leave a lonely space. Adding green to your home will be much more refreshing! Covering the wall with trees will help reduce the heat of the mortar-based wall. Add a simple and nice tree in the middle to serve as your centerpiece. However, do not plant large trees because a lot of space will be used up, at the same time it will look crowded. To add in variety and beauty, you can have small ornamental flowers around! 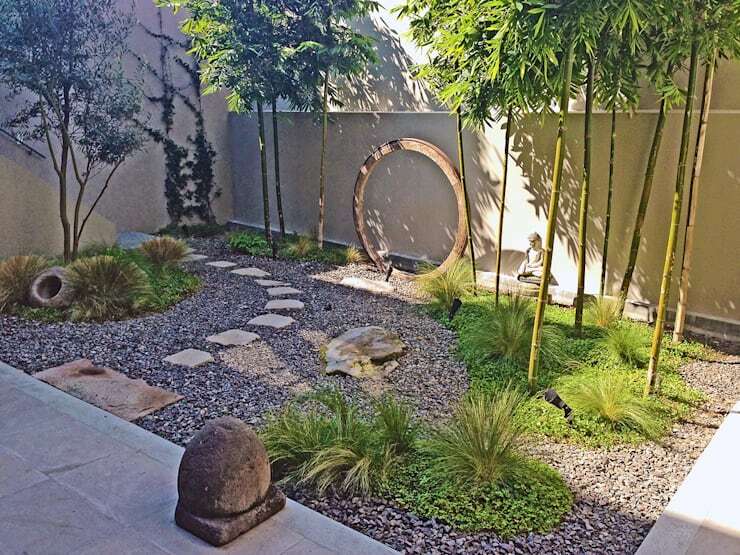 Who doesn’t love an Asian-style garden? The simplicity and charm of the Japanese garden will surely appeal to your heart. Moreover, this garden is easy to achieve! Use a few key elements such as small gravel for foundation. Place a stone plate at the corridor to emphasize character and put some bushes and trees on the sides to make it beautiful and refreshing. For a sweet finish, finally put on a little more ornamental stone. Even with little space, we can still make it look like a garden! Just take a long, looking fresh, green carpet in the middle of the house. Make sure to choose a sunlit corner to place a good coffee table with a beautiful design. With this, you can turn an unused space into an indoor garden! 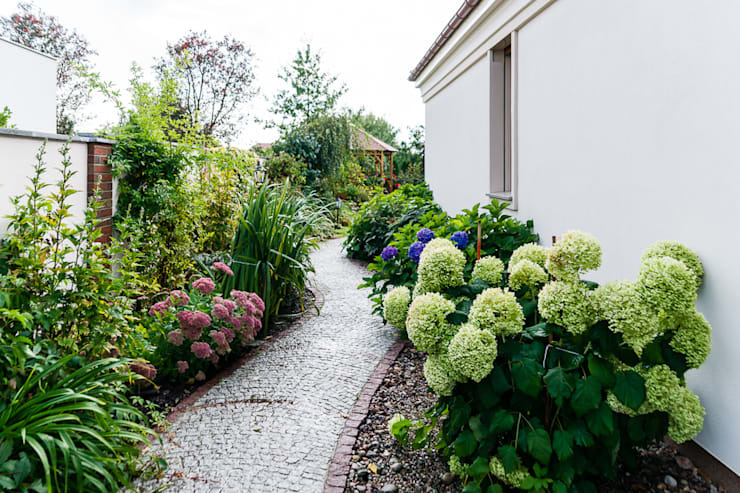 The way to your home is really a good idea to ‘gardenize’! Start off by making a little crooked pathway. On the sides, grow various kinds with different colors (have to be complementing of course!) of trees, coupled with beautiful flowers. This will create a natural and harmonious atmosphere. From time to time, you refresh yourself by taking a nice walk! 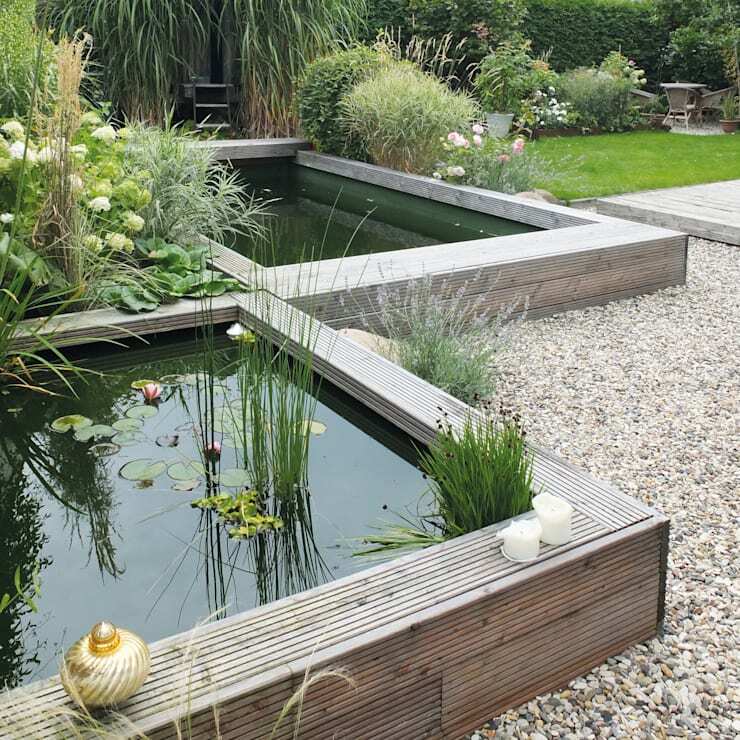 Having a garden and a pond together is such a great idea! Both will make you feel cool and relaxed. Converting it into a koi fish pond will give an Asian fusion twist! The wooden frame will look interesting in the area. Put several seats or benches around have a good chat and bond just like in parks. The tropical kind of garden will be the most suitable for our home. 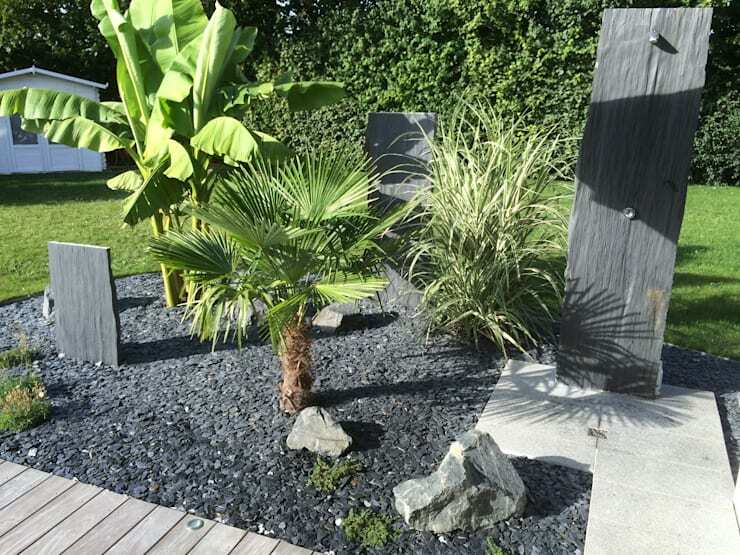 A palm tree, lemon grass, laced with a beautiful stones, make a simple yet stylish backyard garden behind the house. Nothing feels more special that having a ‘secret garden’ behind the house. Using wood or bamboo litter for the floor will hit the right budget. It wouldn’t be complete without flowers. Take a couple of pillows and then done, you have to yourselves a secret haven! This will definitely excite the garden lover in you! Even with the narrowest space available, this model will certainly work. You too can have a small and beautiful garden, if you want to!